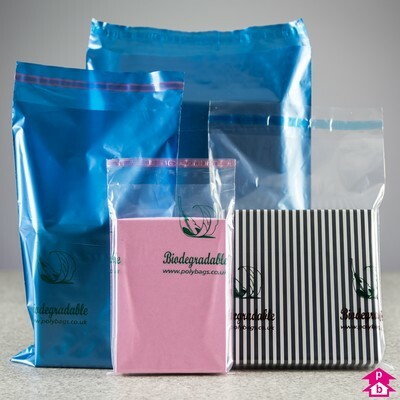 Store or display products whilst showing you care about the environment with these biodegradable clear bags. 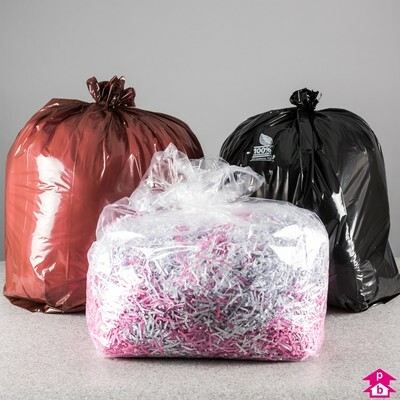 This range of eco-friendly refuse sacks, bin liners and composting bags help you dispose of waste whilst keeping one eye on the environment. 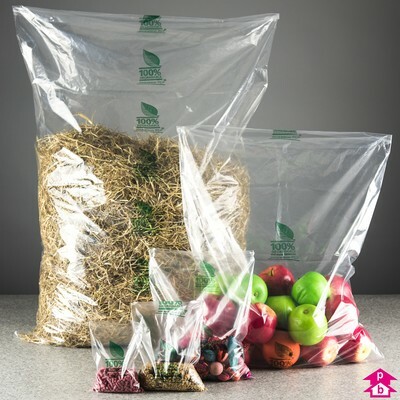 Perfect for collecting and disposing of kitchen, food and garden waste, these corn starch-based biodegradable refuse sacks will fully disintegrate within 12 weeks in standard composting conditions. 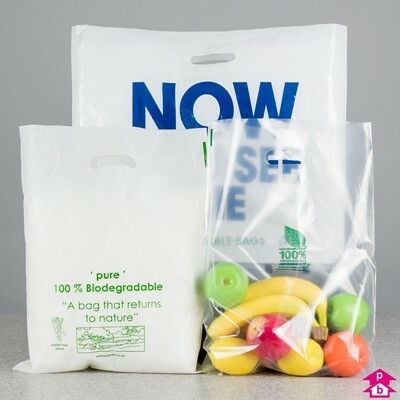 This range of standard and starch-based biodegradable carrier bags will get the job done whilst proving your green credentials to your customers. These smart, sleek and strong biodegradable mailing bags come printed with a green leaf logo to show your customers you care about the environment. 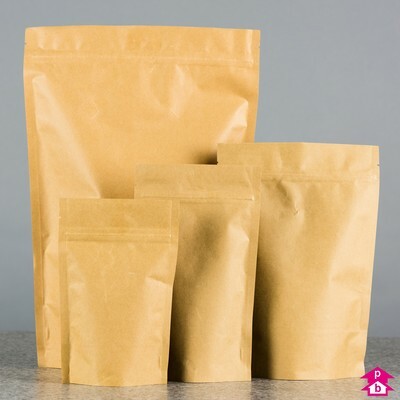 These attractive biodegradable stand-up pouches, which compost within 3 months, provide an eco-friendly way to display products. 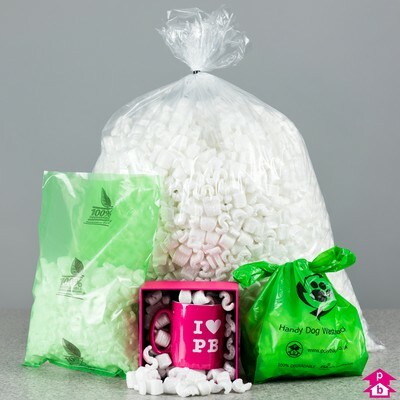 This range of specialist eco-friendly packaging products includes compost bags, loose fill for packing boxes and dog poo bags for the considerate canine owner. 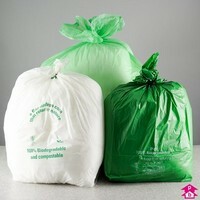 Biodegradable.ie is a division of Polybags - the UK's number one manufacturer of eco-packaging and polythene packaging. If you have any queries regarding any of our products or services, please call +44 208 575 8200. If you'd prefer us to call you, please complete the form below and a member of the Polybags team will be in touch at a convenient time. This service is available Monday to Friday from 9am to 5pm.